Here’s some advice you likely won’t hear very often. But, we’re not afraid to say it. You ready? Here it is. Most RFPs are little more than a gauge that companies use to determine if they’re getting the best bang for the buck from their current provider. Or, along the same line, some RFPs may represent a simple warning to current providers that they better not take the business for granted. Without a dramatic difference in costs, an irreparably damaged relationship or some other unlikelihood, change from one vendor to another is highly unlikely. It’s unlikely because the incumbent has a significant advantage over the competition from square one. Assuming they’re doing their job, the incumbent has an established relationship with their client. They are a known quantity, a familiar face. They are the path of least resistance, a simple choice against even the most qualified RFP responder. 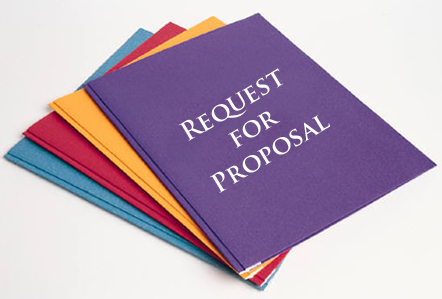 So, what should you do when you receive that RFP on a piece of business you’ve been eyeing hungrily? We suggest you politely decline to enter the bidding process unless you are given an opportunity to meet with top management “face to face”. Here is how the conversation might go. There you have it. Don’t waste your valuable time or money responding to an RFP if you don’t already have a strong and trusted relationship with the prospective client. Sophisticated, long-term transactions must include several options and numerous items to be considered as a team. There are no simple answers, no simply bids for successful business relationships. Top management must be willing to meet with a potential service provider to determine the potential for partnership. This requires face-to-face meetings and open discussions in order to establish relationships and build trust. Good business decisions cannot be made in a vacuum. If the playing field is to be level then all parties must be given equal time to understand the scenario, challenges or opportunities. Moral of the story: Don’t get caught up in the RFP rat race. Sometimes, you need to just say no.